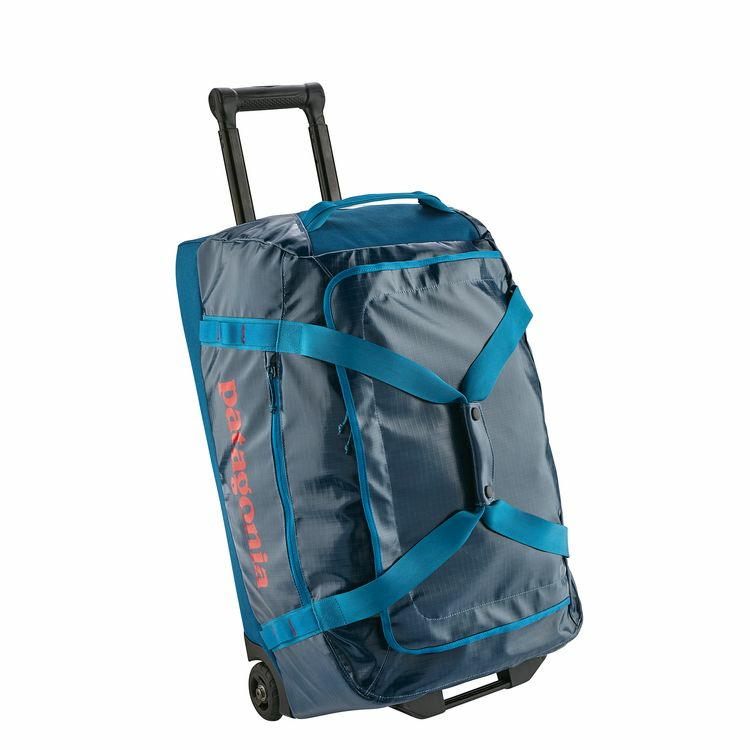 Tough and highly water resistant, the Patagonia Black Hole Wheeled Duffel Bags are the best travel bags around. Whether its airport baggage services, bumpy rides in the back of 4WD vehicles on the way to fishing camps, or cobblestone roads in cities overseas, one thing is for certain: your luggage can take a beating on wayward journeys. 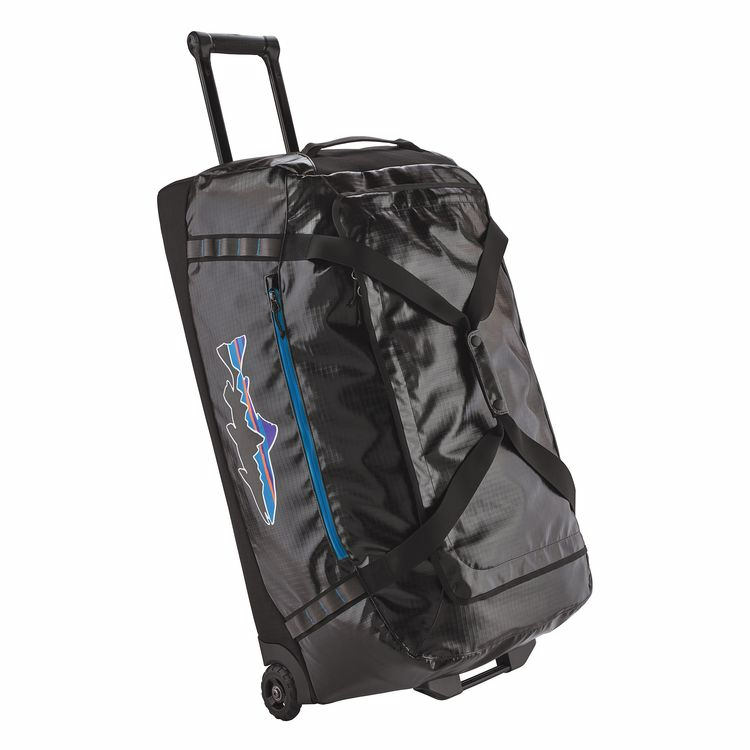 Built with sturdy polyester ripstop and highly weatherproof TPU laminate with a durable water repellent finish, the Black Hole Wheeled Duffel is the ultimate travel bag in terms of durability and gear-safety. This bag protects your gear from weather, scuffs, and scrapes wherever you take it. It is lightweight and extremely functional. These bags have zippered U-shaped lids with two zippered internal mesh pockets to keep small items organized. You have quick and easy access to the main compartment. A zippered exterior pocket keeps boarding pass or other important item securely at hand. The frame is very sturdy and durable and will remain upright even when the bag is packed to capacity. 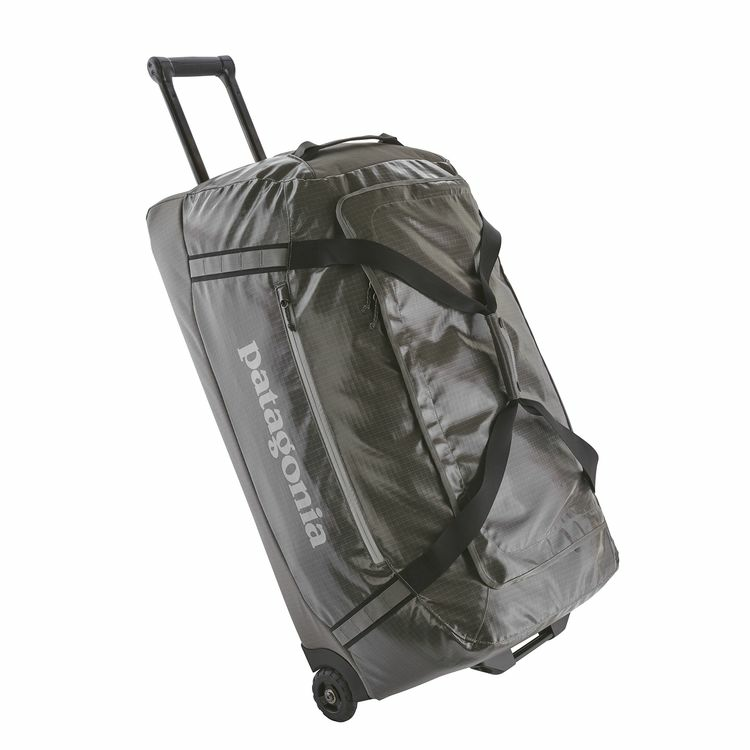 Black Hole Wheeled Duffels are intelligently constructed with oversized wheels because we aren�t always transporting our bags on smooth sidewalks along our travels. You can transport the bags in a variety of ways. You can use the main webbing handles, a two-position telescopic handle for wheeling, or the two haul loops on either end. Daisy chains allow you to lash gear to the outside of the bag as well. Available in three different sized for varying uses and travel durations. We guarantee that this will be the best travel bag you will ever purchase.